Since fall of 2017, CryptoKitties has gained international renown as a fad and media vehicle for exposing cryptocurrency to the mainstream. 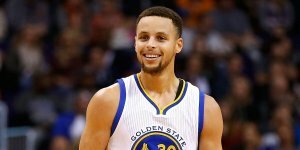 Now, the famed crypto-cat Ethereum dApp is ready for another swish by partnering with NBA All-Star and two-time MVP Golden State Warriors superstar, Stephen Curry. Based on the Ethereum blockchain, CryptoKitties is a decentralized application (dApp) that allows users to breed and exchange collectible digital cats classified as ERC-271 tokens. The digital cats are considered tokenized digital assets and are unique and non-fungible due to the decentralization and immutability of the Ethereum blockchain. According to VentureBeat, CryptoKitties gained 1.5 million users and conducted more than $40 million in transactions since March of this year. Through a partnership with his emoji development company, Moji, Steph Curry was able to launch the first-ever celebrity-branded CryptoKitty (nicknamed “Steph Fur Three”) on Monday, May 7. As a public figure and tech enthusiast, Curry made for a fitting celebrity to test their branded digital assets and decentralized applications. As a gamified platform for exchanging unique digital assets, CryptoKitties has become a figure for international cryptocurrency adoption and education. The new line of celebrity-branded assets opens the door to the possibility of partnering with other famous proponents of blockchain and further spreading the word of cryptocurrency. Who the next celebrity CryptoKitty will be is anyone’s guess.